Apart from viewing how much traffic a site is getting, Alexa can also be used to do some simple business intelligence or keywords competitive analysis by viewing search engine keywords data associated with bringing in the most most traffic to a site. However, Alexa has set a restriction such that the “Search Engine Marketing (SEM) Opportunities for …” data is only available to users who have installed the Alexa Toolbar. 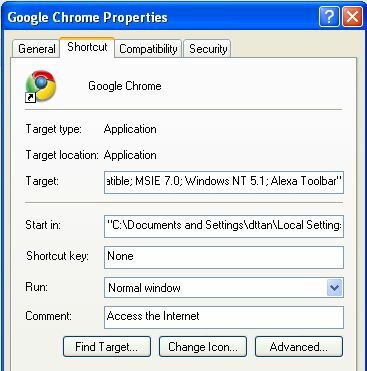 Here’s a nice trick to show you how to bypass this requirement using Google Chrome. The reason why this work is simply because we’ve added “Alexa Toolbar” into the user agent string. You can also use this trick for Firefox (using the agent switcher extension), Internet Explorer (involves some registry editing) and Opera.